NASA's new Mars lander has caught the principal hints of the "extremely unworldly" Martian wind. The Jet Propulsion Laboratory released audio clips of the alien wind Friday. 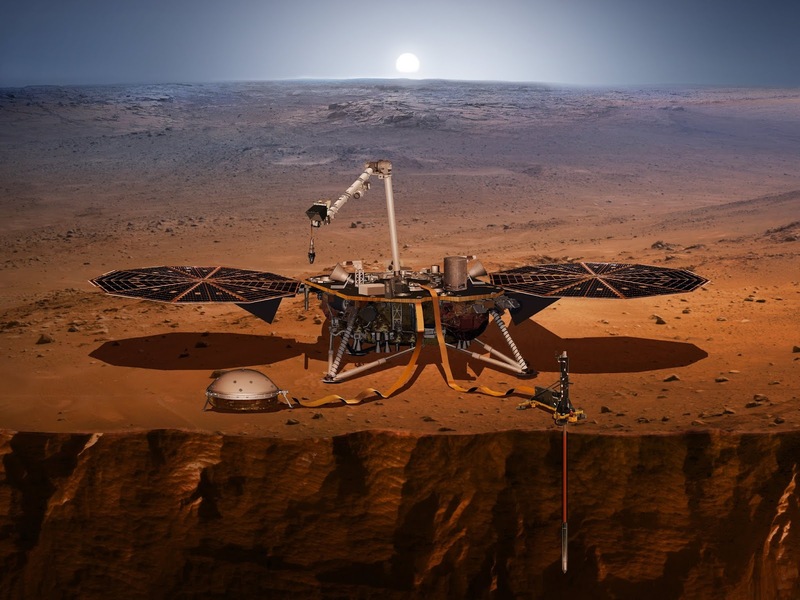 The low-frequency rumblings were collected by the InSight lander during its first week of operations at Mars. The wind is evaluated to blow 10 mph to 15 mph (16 kph to 24 kph). These are the principal sounds from Mars that are detectable by human ears, as indicated by the scientists. Cornell University's Don Banfield told columnists. Researchers associated with the task concur the sound has a supernatural quality to it. Thomas Pike of Imperial College London said the thundering is “rather different to anything that we’ve experienced on Earth, and I think it just gives us another way of thinking about how far away we are getting these signals.” The commotion is of the wind blowing against InSight's sun based boards and the subsequent vibration of the whole shuttle. The sounds were recorded by a gaseous tension sensor inside the lander that is a piece of a climate station, and in addition the seismometer on the deck of the spacecraft. The low frequencies are a consequence of Mars' thin air thickness and much more so the seismometer itself — it's intended to identify underground seismic waves, well beneath the limit of human hearing. The seismometer will be moved to the Martian surface in the coming weeks; up to that point, the group intends to record more wind clamor.